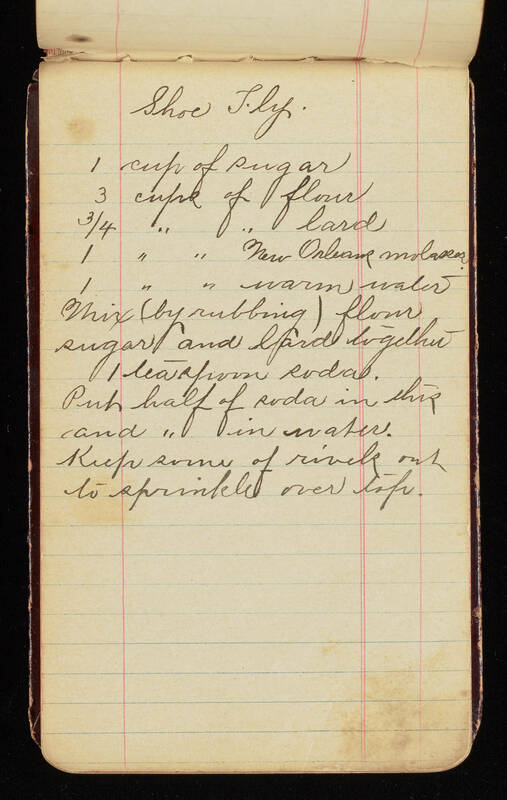 Shoe Fly 1 cup of sugar 3 cups of flour 3/4 " " lard 1 " " New Orleans molasses 1 " " warm water Mix (by rubbing) flour, sugar, and lard together 1 teaspoon soda. Put half of soda in this and " in water. Keep some of [illegible] out to sprinkle over [illegible].